You are in good company! Over 14,000 students transferred credits from another institution into or within the UW System during the 2017-18 academic year. 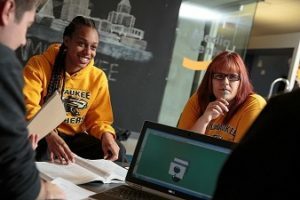 Transfer Wisconsin can help you find out how your credits transfer, but it also offers you tools, resources, and a wealth of information right at your fingertips. 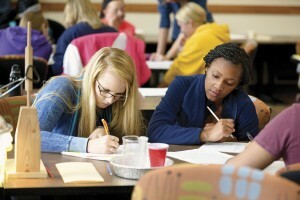 If you plan to transfer to a University of Wisconsin (UW) or a Wisconsin Technical College System (WTCS) campus, use this site to take the next steps to achieve your college education goals. Get started by choosing your current academic status below. Are you currently enrolled in a two-year UW branch campus and want to find out how to transfer your completed courses? 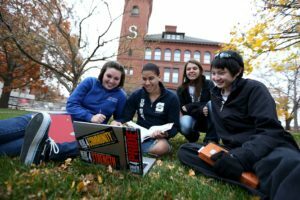 Are you currently attending a four-year UW campus and want to transfer to another four-year UW campus or a Wisconsin Technical College? Are you currently a Wisconsin Technical College student and want to transfer to a UW campus or another Wisconsin Technical College? Are you currently in high school and want to find out about how to earn and transfer college credits? Are you currently attending a Wisconsin private or out-of-state college and would like to transfer to a UW campus or Wisconsin Technical College? Are you a veteran student and want to find out how military credits transfer and explore military education benefits? The Transfer Information System (TIS) is a statewide initiative to improve transfer for Wisconsin students. It includes helpful tools, such as the Credit Transfer Wizards, Transfer Guides, Articulation Agreements, Universal Credit Transfer Agreement (UCTA), and Transfer Plans. 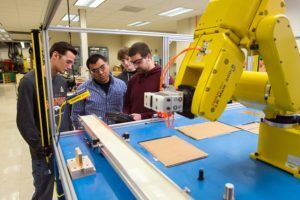 Transfer Wisconsin, a website maintained by the University of Wisconsin System, is the result of a collaborative effort by UW System and Wisconsin Technical College System to help students transfer between all public, post-secondary institutions in the State of Wisconsin.